Severe asthma exacerbations require considerable effort to avoid furthering acidosis while attempting to stabilize, secure airway, and maintain oxygenation. Use Mag early as there is evidence that you can reduce admissions by providing this treatment early. Consider BiPAP to improve ventilation while preparing for definitive airway management but there is no evidence that it reduces intubations. Ketamine as the RSI induction agent may provide some bronchodilatory effect but there is not enough data to provide any formal recommendations. For this same reason, ketamine as a post-intubation sedation agent may be appropriate. Vent management is key with a focus on low respiratory rate and short inspiratory times to lengthen the I:E ratio (>1:3) to allow full exhalation. Goal TV 6-8cc/kg, "ZEEP" or low PEEP (0-5mmHg), consider a plateau goal of ~25 if you paralyze. Pancreatitis can be diagnosed by the presence of 2 of 3 criteria: lipase elevation >3x the upper limit of normal, historical features, or CT changes consistent with pancreatitis. Remember that acute pancreatitis should have an etiology. Imaging with a RUQ ultrasound takes <10 min and provides >95% sensitivity and >88% specificity to diagnose cholelithiasis when performed by emergency physicians. Positive RUQ ultrasounds may also reduce subsequent CT imaging. Remember that good discharge instructions are key (both verbally with the patient and written). Consider early anticoagulant reversal in patients with evidence of bleeding or at high risk for life-threatening bleed. We saw an interesting case of a high c-spine fracture without evidence of bleeding but who was reversed due to very high risk of epidural hematoma formation. PCCs are useful to reverse novel oral anticoagulants, for fast reversal needed most commonly in intracranial bleeding, and hemophilia. Dabigatran is dialyzable. Vit K and FFP are effective for warfarin reversal. The dose is approx 10cc/kg but that is dependent on the INR (higher INR requires more). PE miss rate is >10% in the ED. PEs that are missed in the ED are most commonly seen in the elderly and altered patient populations. If PE is missed in the ED the patient has a much higher mortality and morbidity rate (stroke, intubation, death) compared to those diagnosed early. 3 types of endocarditis: native valve endocarditis, IV drug users, and prosthetic heart valves. IV drug users have higher rates of psuedamonal, fungal, or polymycrobial etiologies. While obtaining multiple blood cultures is key (recommendation is 3 sets over an hour) they may be negative in 5-10% of patients and that number may be as high as 50% if the patient has been on recent antibiotics. Use the Duke criteria to help make the diagnosis but always consider endocarditis if the patient is an IVDU and has a fever. Initial broad spectrum antibiotic therapy should include gentamycin if the patient is an IVDU and rifampin if the patient has a prosthetic valve. Surgery is indicated if: severe valve disease causing CHF, relapsing prosthetic valve disease, severe embolic complications, fungal disease, or new conduction abnormalities. Workup for an initial seizure should include: glucose, sodium, pregnancy test, LP if immunocompromised (HIV regardless of CD4, dialysis, recent hospitalization, steroids), CT.
Up to 15% of patients can have negative CT but significant findings on MRI. If you are concerned about ischemic stroke (up to 20% of adults and kids with acute ischemic stroke will have seizure at the onset) consider a MRI DWI sequence which is very rapid. AEDs reduce the risk of second seizure. Keppra has the fewest side effects if you feel like you wish to start one from the ED. No good data on benzo bursts after a seizure. Status epilepticus definitions now state any clinical or EEG seizure lasting greater than 5 min or 2 back to back seizures without return to baseline. Consider early intervention and early neurology consultation for "impending status" or "ultra early status" if seizure has not self terminated in 2-3min. Disease spectrum ranges from drowning without morbidity, drowning with morbidity, drowning death. Don't focus on what the water source was, but: saltwater tends to produce more surfactant washout and requires 3-5 days for surfactant to build back up and freshwater is more cytotoxic to the lung parenchyma. No need for empiric antibiotics for water aspiration unless brackish water. 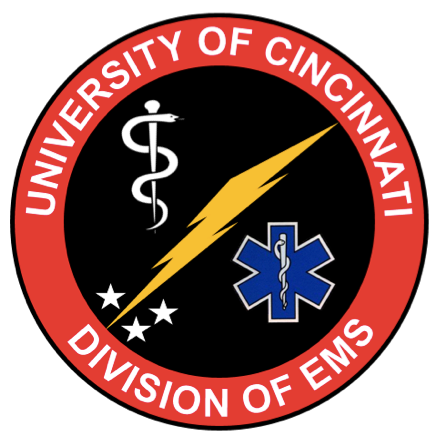 ED management of submersion injuries include: NIPPV, bronchodilators, exogenous surfactant might play a role, and high index of suspicion with plan to admit patients for observation if abnormal vital signs or respiratory signs/symptoms. Diving injuries can be divided into big bubble issues (pulmonary barotrauma, arterial gas embolism, pneumomediastinum) and small bubble issues (decompression sickness). Big bubble issues most commonly seen in inexperienced divers, shallow dives, and surfacing too fast with immediate symptoms. Small bubble issues most commonly seen in commercial divers, deep dives, and have delayed onset of symptoms. Treatment for dive injuries include: oxygen, supportive care, hydration, and hyperbarics to push the gas back into solution. Has been proven in emergency departments to improve speed of access, decrease number of attempts, and decrease central line use in patients who only received central lines for poor peripheral access. Success rate quoted at 97% (although took 3 attempts, only 46% successful on first attempt). Options include:basilic, cephalic, median cubital, median bacilic, and median cephalic veins. Ideally you want to end up with 1-2.5cm of catheter inside the vein. This requires choosing the appropriate length catheter from the start. Remember high school trig: if you are entering the skin at 30 degrees you will need twice the amount of catheter as the vessel is deep (hypotenuse = 2x depth). If you enter steeper, say 45 degrees, your length is slightly less but requires square root calculations.